Smoky black crystal glass and a fabulous obmre finish, an example of stunning modern glass art. 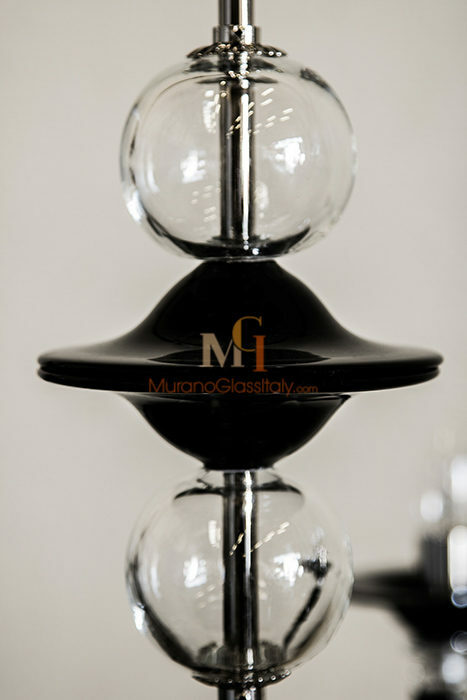 You prefer an elegant minimalistic still glamourize interior design? 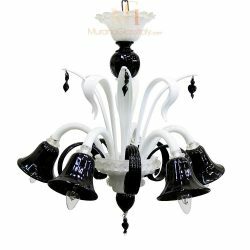 This black beauty is made to be the muse of your interior. 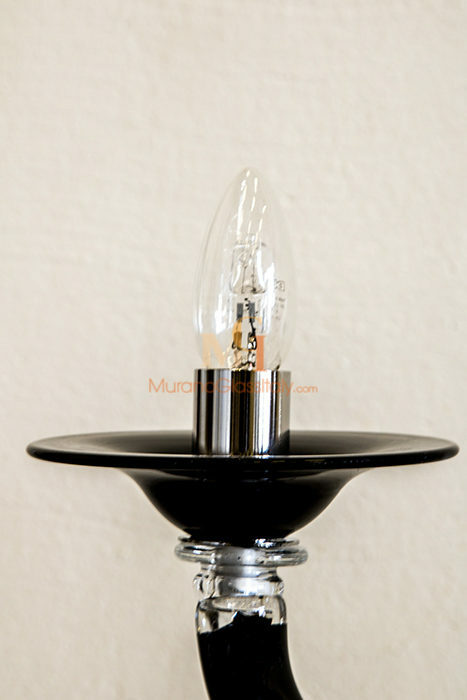 Kept in modest timeless design, but still provides an unmistakable atmosphere. 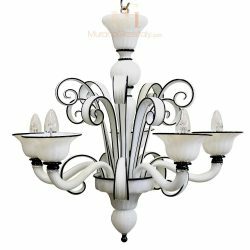 The straight lined design gets adorned by the contrast centerpiece, it gives the chandelier dynamic and makes it to an incredible eye catcher. 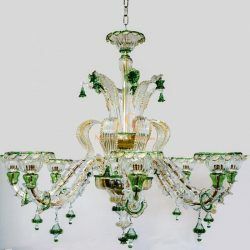 Amaze your guest and yourself with such a statement piece in your entrance hall. The illumination spectacularly evokes that era of royal excess. 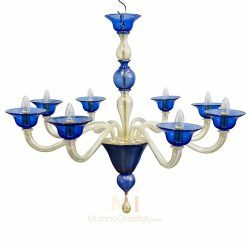 This stunning example of delicate artistry goes back to a century-old Venetian glass blowing tradition and is a 100% handmade art work from Venice, Italy. 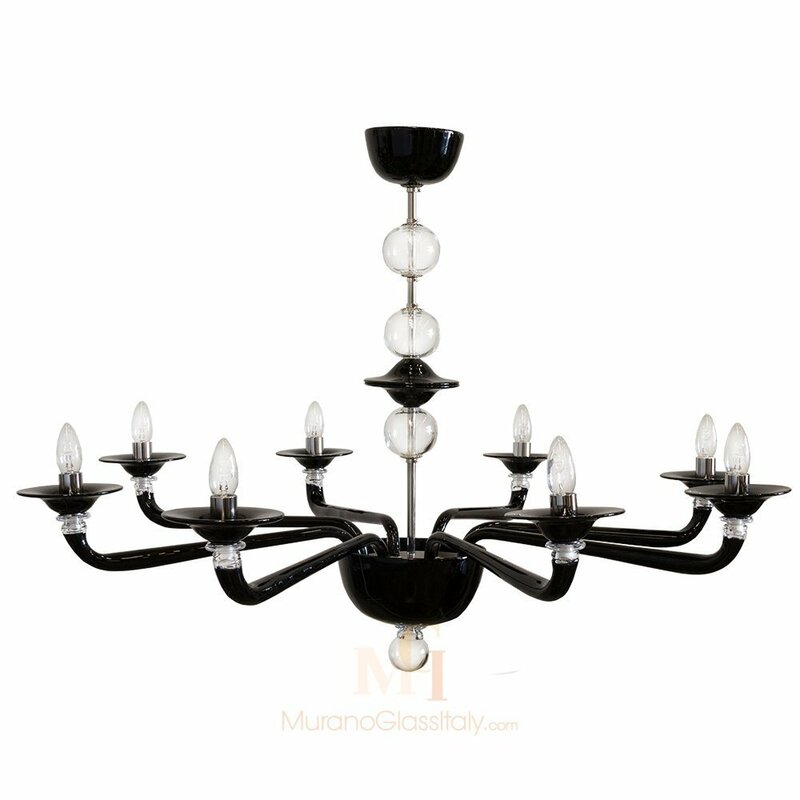 Nero – Italian Murano Glass Chandelier can be customized in the number of lights and colors to fit your interior perfectly, for more information contact us at customer@muranoglassitaly.com.